2004 Accord - Haven't run in 3 months, what should I check? I have a 2004 Honda Accord DX 4 cyclinder with about 120k miles on it. - The battery is about 3.5 years old and it completely dead. Have not tried jumping it yet, will try tomorrow. 2. Check brake rotors for rust? Thanks all, I really appreciate any advice. Only 3 months? Charge/replace the battery, get in it and start it up. You don't need anything special. Why has it been sitting for 3 months? Thanks, going to try to jump the battery today and take it for a drive. I was concerned as I'd read some posts on other sites saying the brakes will rust and gaskets will wear out after 3months time. Just wanted to make sure I didn't risk damaging anything! Will post results and any findings just in case it might help others. If the battery is that old, it will likely need a new one. Quote "">> Heated stored in garage for only 3 months<<"
As everone is saying that's nothing. Battery may have given out being dead too long and best to charge it rather than just a jump. Just make sure you have brakes and should be fine. Still would be nice to know why it sat so long. Here's an update. I ended up trying a 15min jump and the battery remained completely out cold. Putting key in ignition doesn't get lights or anything. As the battery was going on 5 years, I think I'll take your advice and pick up a new one tomorrow. Will also have them test my current battery at the shop and see if there is any chance of salvage. Thanks for suggestion on charging by the way. I looked into trickle chargers and this looks like a great tool in case I end up need to store it for a while again. I left on a 3 month exchange program overseas. I embarassingly didn't do enough research to find out about trickle chargers and didn't have anyone who could take it for a drive, which left me in this predicament... thanks to you guys I won't be making that mistake in the future! That battery is junk almost for sure if no lights after 15 min jump. The trickle chargers are cheap. The "floating" ones automatically come on and shut off as needed. Have several now on assorted things rarely used and batteries seem to last tons longer in general with them. Actually found them at WallyWorld ~$25. and some major parts outlets about the same. You would want an automatic one as overcharging is NG either. Fast charging is hard on the dang batteries too which shops will use because you can't wait 24 hours with the things I'm talking about. 5 year old battery isn't worth trying to save IMO. That's enough for most anyway so no loss in just getting a new one. Not cheap but go for quality - it matters. Nice. I could use one more and like that one so will be looking for that exact one. These will charge a battery just not fast. Used for generator, whatever yard equipment that isn't used all the time or seasonal stuff. Some like the one Hammer showed do just plug in a power port with no hassles for vehicles. I have that one on my Vette and it keeps the battery at peak. The saga continues it seems. I went over to buy a new battery and the mechanic strongly advised against selling me one as he mentioned it sounds like I might have a short circuit. He mentioned that when I was jumping my car, I should have at least gotten interior dash lights turning on, even if it wouldn't turn over. Since my car is down in an basement parking garage, a tow will likely be pretty expensive, is there anything I can do on my own to test the mechanic's claim that it's likely the electric system instead of the battery? I cleaned the battery terminals and am going to try jumping it again this morning. Do you get a strong reaction when hooking up jumper cables? Battery itself could be shorted inside. Jumps are mostly not suggested when at all possible but rather charge the battery or a jumper box not another vehicle. If you have power where it is charge the battery by charger. Many/most will or should be automatic and tell you it's low, medium then fully charged and shut itself off. That or take it out and charge it or have it checked and charged. Some other short somewhere isn't going to be found until you have it out of there to check for that but it may not have one. Sorry if repeat but a batter just sitting dead can be destroyed no matter how new. They just don't like being "flat" at all. Also whatever jumpers you are using counts a lot. With a seriously dead battery you need some serious cables if done that way and most are cheap junk. 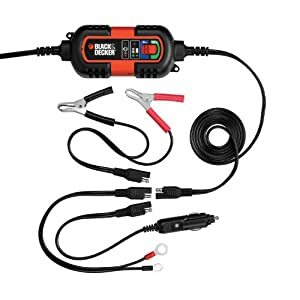 My own cost over $100 bucks ~ 30 years ago and will start a car without a battery in it like nothing with strong grips with teeth that don't fail. Fine strand copper, heavy gauge like #1 which is thick and strong. To me sitting 3 mo. in a garage and suddenly having more than a dead battery seems odd if all was well when parked. Do you have a road service like AAA or anything? They'll have a strong jumper box and go in the garage first not just tow it out and try to get it going. That's routine for those services. You don't guess at these things. You simply take the battery in and have it charged and tested. Fellows, I took your advice and signed up for a long overdue AAA membership. It turns out my cables weren't strong enough and AAA was able to give me enough of a boost to make it to the nearest service shop to pick up a new battery. In short, she's back and purring as usual. My thanks to all, especially Tom and Hammertime, I'm very appreciative as I hadn't even considered swapping out the cables. Again I think you'll only need a battery but check it out while there for charging system. Yes - at least around me AAA specifically is awesome. They deal with all kinds of precarious situations AND notice you get a list of places to get a discount, here the do DMV work for members too with no lines - yeah. Here - the tow drivers are good. Not necessarily fully polished mechanics but good at some basics. They know how to tow odd situations AND carry a stock of new batteries too. Haven't bought one from them yet but may just to see how good they are - the batteries. I'll put it in. I'm overdue on a few that work fine just from age. I'll explain a bit more than you may want to know. Inside is 6 cells of lead coated plates in series makes it a 12V battery. Those plates normally flake and that junk collects on bottom with room for a bit. If the pile of flakes can touch the bottom of the plates the battery itself shorts inside. They have a life because of the flaking away and the debris build up always losing some cold cranking amps over the years from when new but acceptable for years if good. My take on your current battery is that at best it's hurt. May work, take a charge and show OK but I worry about "flat" batteries" as already said. AAA is OK for roadside rescue. Just don't ever buy a battery from them. They are the absolute worst. Not only are the batteries junk but they will not stand behind them. Good to hear. I would think they would carry the highest quality. Standing behind it means nothing to me anyway - I don't want surprises for myself or anyone. You know what dept store sells them cheap and the failure rate is insane. They stand behind them too but what a nightmare if away or worse newer vehicles sustaining electrical damage over it. No bargain. We are a AAA authorized shop and their 800 number is constantly sending their battery customers to us. We can determine in 5 minutes that the battery is wasted and not coming back and they won't authorize a replacement until it has been slow charged for 3 days and then they send their own guy out to test it. The customer usually says to hell with them and just buys a battery from us. Apologize to "sad honda'' that we went off your exact topic. Never dealt with a battery from them so no direct way to know the scoop. Making someone slow charge for 3 days isn't fair IMO to get another if defective. Not much now but did do some off AAA work for broken down people as I used to carry a ton of stuff. 12V compressor, plug kit for tires, small floor jack, oil, antifreeze and water, gas and let them get reimbursed. This last disaster Winter didn't my Mother need a jump. Well. AAA's phone was either busy or no answer there must have been such an overload! I couldn't get near the thing, snow from clearing it was up to my neck to even open the hood. Jumpers didn't reach anyway and no way with anything I have to pull it back where it's parked. Car was beside it too so shoot. Keep a good batter just because on bench here, shoveled in to open hood, jumped it from a battery out of a vehicle closer and it worked like a good jumper box. Mine is old and only good for partially low batteries not as dead as that was.